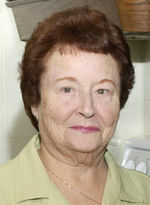 Maxine P. McFanin of Otsego, passed away Sunday, May 27, 2012 in Otsego. Mrs. McFanin was born on October 17, 1916 in Broadwater, Nebraska, the daughter of George and Lydia (Cork) Sheldon. She was the oldest member of the Otsego First Baptist Church and had worked at Dix Street Elementary school in the kitchen for several years. She enjoyed reading, doing crossword puzzles and baking sugar cookies during the holidays. She loved being with her children, grandchildren, great grandchildren and great great grandchildren. Maxine is survived by her children, Ron (Kay) McFanin of Otsego and Marva (Bob) Curry of Gun Lake; 17 grandchildren, Gail McFanin, Ronda Penny, Kim Gillies, Brad (Desi) McFanin, Colleen (Ward) Litchfield, Ron (Barb) McFanin, Brian (Kelly) McFanin, Christina (Todd) Back, Amanda (Ryan) Arthur, Laurie Bourdo, Rob (Carie) Curry, Todd Curry, Jeff Curry, Michelle Sitterlet, Rick Borst, Robin (Bill)Dumez and Julie Lintemuth; 110 great and great great grandchildren; many nieces, nephews, cousins and friends. On February 9, 1935 in Michigan City, IN she was married to Ronald ‘Mick’ McFanin who preceded her in death in 2002. Also preceding her in death were a son Roger in 1985, a grandson Michael in 2011 and 3 brothers and 2 sisters, Verle, Harold & Don Sheldon and Carmine Foss and Corinne Wolcott. Friends may meet with her family from 2-4 and 6-8 P.M. Wednesday at the Winkel Funeral Home, Otsego. Funeral services will be held Thursday at 11 A.M. at the First Baptist Church, Otsego with Pastor Merlyn Jones officiating. Interment will follow at Hillside Cemetery, Plainwell. Memorial contributions may be made to the First Baptist Church Building Fund. 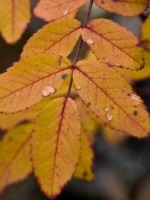 Clarence D. ‘Doug’ Esseltine of Kalamazoo, Michigan, passed away May 20, 2012 at Borgess Medical Center, Kalamazoo. Doug was born July 1, 1942 In Kalamazoo. In 1960 he graduated from Kalamazoo Central, then graduated from WMU, attended U of M and served in the ROTC. After working many years in Chicago, he retired from the USDA. Doug, as he was known to those who loved him, was a man of integrity and respect. He chose an independent, frugal life, enjoying his cabin in Baldwin, fishing and living in harmony with nature and mankind. He was preceded in death by his father, Clarence Esseltine; his parents, Ardis and Burton Rayman; cousins, Raymond Esseltine, Pat VanderMolen, Jimmy Boyd, Janie Bass, Judith Massie and Mike Oram. Surviving are cousins, Marilyn Poff, Dennis Baker, Grace Richardson, Doreen Baker, Pat Oisten, Duane Baker, Dale Oisten, Art Oram, Carol Fleeman, Joyce Borton, Peg Kraak, Pete Oram, David Oram, Rodney Esseltine, Kevin Esseltine, Jim Oram, Vanessa Simmonds and John Esseltine; friend and cousin by marriage, Gare VanderMolen. Respecting his wishes he will be cremated. There will be no visitation or service. Those wishing may make a contribution in Doug’s memory to the American Cancer Society or the charity of their choice. Donna J. Harter of Otsego, MI passed away Wednesday, May 16, 2012 at Kairos Dwelling in Kalamazoo with her family by her side. Donna was born August 31, 1929 in Watson Township, MI in the home of her parents; Raymond “Bill” and Esther (Baker) Newcomb. She is survived by her brother , Jim (Sue) Newcomb; 3 sons, Leon (Cindy) Harter, Bob (Bonnie) Harter and Ron (Penny) Harter; grandchildren, Chasity and Jessecia Harter; step grandchildren, Christie Snyder, Justin Snyder; her Aunt, Helen Baker; nephews, Nathan (Shawn) Newcomb, Corey (Tricia) Newcomb, Eric (Linda) Hewitt, Dawn Hewitt; brother-in-law, Hal Hewitt and a special friend and caregiver, Claudia Blaha; as well as many extended family members and friends. Donna was united in marriage to Leon M. Harter Sr. in 1946. She worked many years for Otsego Public Schools as a bus driver, worked for and retired from National Waterlift, was a demo lady at Sam’s Club, a door greeter at Walmart and drove cars for Midway Chevrolet until her health declined. In her lifetime she was a member of the VFW, enjoyed BINGO, crocheting, crafts, playing the lottery, casinos, holidays, cookouts and spending time with her family, friends and her cat Punkin. Donna was preceded in death by her parents; her husband; a daughter, Debra Nelson; her sisters, Joan Hewitt and June Girton; brother-in-law, John Girton, infant brother, Raymond Newcomb and a niece, Terry Reynolds. Friends may visit with her family on Sunday from 3-6 P.M. at the Winkel Funeral Home, Otsego where services will be held on Monday at 11 A.M. with Rev. Patricia Catellier officiating. Burial will take place at Mountain Home Cemetery, Otsego. Contributions in memory of Donna may be made to Kairos Dwelling or Heartland Hospice. 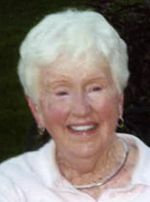 Helen T. O’Neill of Otsego, Michigan passed away Saturday, May 12, 2012 at her home. Mrs. O’Neill was born March 5, 1916 in Boston, MA to Timothy and Sarah (McCloskey) Daly. She was a graduate of St. Gabriel High School and had enjoyed golfing for many years. On October 24, 1937 in Hyde Park, MA, Helen married Vincent O’Neill who preceded her in 2008. They had been married over 70 years. Surviving are 5 children, Joyce O’Neill and friend Sam Lafata of Otsego, Lawrence and Christine O’Neill of Yarmouth Port, MA, Stephen and Jackie O’Neill of Healdsburg, CA, Daniel and Wendy O’Neill of Decatur, TX, Joanne and Dave Coy of Otsego; her grandchildren, Amy (Tim) O’Connor; Sean O’Neill, Morgan O’Neill, Kevin O’Neill and Sarah O’Neill; great-granddaughter, Caroline Wendy O’Connor; many nieces and nephews. She was preceded in death by her parents; her step-father, Joe McDonough; a brother, Daniel McDonough; her sisters, Margaret McDonough and Mary Engelke; a sister-in-law, Rita McDonough; a daughter-in-law, Wendy O’Neill and a granddaughter, Pamela O’Neill. Friends may meet with her family from 10-11 A.M. Wednesday at St. Margaret’s Catholic Church where a Rosary will be recited at 10:30 A.M. and where a Mass of Christian Burial will be celebrated at 11:00 A.M. Rev. Fr. Gordon Greene, Celebrant. Interment will be in Hicks Cemetery. Memorial contributions can be made to Wings of Hope Hospice or St. Margaret’s Catholic Church. 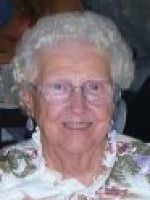 Emma Lillie (Fuhst) West of Austin, TX (formerly of Plainwell) died April 18, 2012 in Texas. Emma was born September 2, 1927 in Plainwell to Wilfred and Rosa (VanDyke) Fuhst. She was a 1946 graduate of Plainwell High School and attended Argubright Business College in Battle Creek. In the late 1950s, Emma served in the Women’s Army Corps at Fort Bragg, North Carolina. She had lived in Austin, Texas since 1972 where she was employed at Seaton Hospital. Surviving are a cousin, Gertrude Long of Kalamazoo and many close friends. She was preceded in death by her parents and a brother Wilfred Fuhst, Jr.
Cremation has taken place. A Memorial Service will be held Tuesday at 1:30 PM at the Winkel Funeral Home, Otsego, with Pastor Kevin Smith officiating. Burial of cremated remains will be in Hillside Cemetery, Plainwell. Roger F. Gilligan of Plainwell, Michigan passed away Wednesday, May 9, 2012, in Battle Creek with his loving family by his side. Mr. Gilligan was born in Hopkins, MI on May 18, 1927 to Walter and Georgia (Flynn) Gilligan. As a young man Roger worked on the family farm until he enlisted in the U.S. Navy where he served his country in the Pacific Theater during WWII. Following his time in the Navy he worked for Mac-Sim-Bar for a short time before eventually purchasing the Mobil Gas Station in Otsego, he later owned and operated Rog and Bob’s Marathon Station where he worked until retirement in 1977. Following his retirement Roger worked for the Otsego Public Schools as a mechanic at the bus garage for over 10 years. 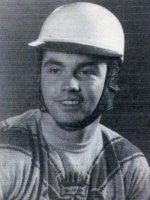 As a young man Roger had also raced stock cars and had been a very successful driver, he still holds the record for most consecutive feature race wins with 11 at the Galesburg Speedway. In 1987 he was inducted into the Michigan Motor Sports Hall of Fame. He had been a member and former Post Commander at VFW Post #3030 in Otsego and had been a longtime member of the Otsego Elks Lodge. On November 18, 1949 in Allegan he married Marjorie Barber. He and Marjorie enjoyed traveling together and spent many winters together in Florida.Surviving Roger are a son and a daughter, James (Carleen) Gilligan of Plainwell and Ann (Paul) Petersen of Otsego; three grandchildren, Sheila (Mike) Howard, Todd Petersen and Jaime (Aaron) Kortokrax; seven great-grandchildren, Jake, Ryan and Samantha Howard, Timothy Petersen and Zach, Drew and Cole Kortokrax; a brother Bill Gilligan of Kalamazoo and many nieces and nephews. He was preceded in death by his wife who preceded him in death in 2011. parents; siblings, Joe Gilligan and Joan Hazard. Cremation has taken place; burial of ashes will take place with military honors at Hillside Cemetery in Plainwell. A celebration of Roger’s life will be held on May 26, 2012 from 2 to 6 P.M. at the Otsego V.F.W. Contributions in memory of Roger may be made to VFW Post #3030, 124 N. Farmer St., Otsego, MI 49078. 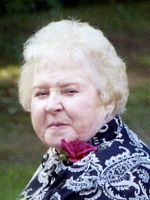 Margie ‘Tootie’ Lakeman of Otsego, Michigan, passed away Monday, May 7, 2012, at Wings Home in Allegan. Mrs. Lakeman was born November 27, 1934 in Holland, Minnesota to Jacob and Anna Evink. On December 14, 1952 in Elkton, South Dakota she married Earl ‘Toby’ Lakeman and they moved to Michigan in 1955. The main enjoyment in Tootie’s life was her family, having been raised with so many siblings. There was never a time that her home housed just her immediate family, there were always some other family members living there, whether it be nieces, nephews, grandparents, sisters or brothers. When her children were young there were family picnics at Brookside Park. Four of her siblings as well as her mother and father, who lived right next door, lived in Otsego at the time. There was lots of food and fun and always a baseball game – kids against the grownups, who would often intentionally throw the ball away, stumble and fall down to make the game fun for the kids. Then there was her love of music; she loved to play her guitar. She was part of a few bands, one of which was The Happy Wanderers, which included her brother Ken, sister Harriet and sister Jane. If she wasn’t playing her guitar she would be up dancing to each and every song. For about 20 years Tootie and Toby went camping at Miles Cove, where Tootie was part of a band made up of campers who called themselves The Muskrat Ramblers. There were more nights than not that the sun would be near to coming up before the band would quit and go to bed. Many, many friends and happy memories came from those years. Over the years, it seemed as though Tootie was always making something. She took ceramic classes and made many very nice pieces that her kids now have as keepsakes. She also worked with leather and made leather belts. Later on, she and Toby both did woodworking, Tootie started out and then Toby joined in. Toby would cut out the designs and sand them, while Tootie would stain or paint, then varnish. Eventually they worked on custom orders. Surviving are four children, Gary (Cheryl Bailey) Lakeman of Otsego, Terri (Mike) Enos of Grand Haven, Debra (David) TenBusschen of Otsego and Kelley (Jim Jr,) Dendel of Otsego Twp. ; 9 grandchildren, Asa J., Marisa, Joshua, Lisa, Robert, Nate, Kalyn, Trey and Madi; a special child, Heather; siblings, Angeline Larson of Dell Rapids, SD, Kenneth Evink of Flandreau, SD, Lois Wrigg of Elkton, SD, Jerold Evink of Rockford, IL, Jane Hoyt, Elmer Evink and Harriet Evink, all of Otsego; many nieces and nephews. She was preceded in death by her husband, Earl ‘Toby’ Lakeman on February 11, 2007; eight brothers; four sisters; an infant son, Danny Jay Lakeman; and a grandson, Alex William Dendel. Friends may visit with Tootie’s family from 2 to 4 and 6 to 8 P.M. Thursday at the Winkel Funeral Home, Otsego, where funeral services will be held at 11:00 A.M. Friday, Pastor Stephen J. Burrow officiating. Burial will follow at Mountain Home Cemetery, Otsego. Contributions in memory of Tootie may be made to Wings Home. 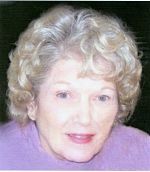 Geraldine C. ‘Geri’ Layman of Plainwell, Michigan, passed away Sunday, May 6, 2012 in Kalamazoo. Mrs. Layman was born August 23, 1933 in Homestead, PA to Andrew and Helen (Brecosky) Lusnak. For many years she was employed as a secretary. Family was the most important part of Geri’s life. She loved animals, especially her cat. 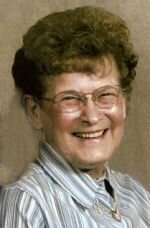 Geri was a member of St. Margaret Catholic Church of Otsego. Surviving are two sons and a daughter, Leonard Benyak of Baltimore, MD, Lynne (Jim) Lawson of North Carolina and Wayne (Lori) Layman of Plainwell; four grandchildren, Erick and Jillian Benyak, Lauren and Alexis Layman; four sisters, Barb Collins, Mary Ellen Kozak, Susan O’Connor and Cindy Wilson; several nieces and nephews. She was preceded in death by her parents and a son, Gary Benyak. In keeping with her wishes cremation has taken place. A Memorial Mass at St. Margaret Catholic Church, 766 S. Farmer St., Otsego, Michigan, will be held at 11:00 A.M. on Saturday, June 2, 2012, with Rev. Fr. Gordon Greene celebrant. Burial of ashes will be at Mountain Home Cemetery, Otsego. Contributions in memory of Geraldine may be made to the Alzheimer’s Association.